As phone nowadays are getting larger in terms of screen display, Nokia made up a cool and cute looking phone Asha 501. It only measures 3-inch screen size in capacitive touch display and runs on Asha software platform OS. Covers almost all you want on a smartphone from camera, apps, storage and lot more features of this phone. 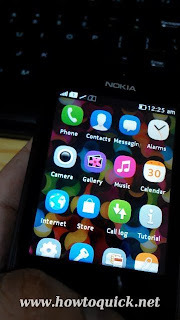 One of the features I tested with Nokia Asha 501 its browser, it has Nokia Xpress Browser that renders the page fast and smooth even in GPRS and edge connectivity. Though the APN settings are new to me, I still manage to test and configure the browser and browse to the internet using cellular network. To those who want to configure the internet settings using your network provider you can follow the quick guide below for your reference. 3. 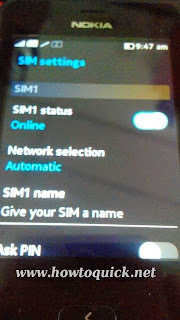 On Dual SIM menu, slide the button on Mobile data to turn on Mobile internet. 4. You'll see two options, SIM 1 and SIM 2. 5. Tap the SIM number that you want to configure. 6. On SIM 1 tap 'Access points', from here you'll see the list on where to use your Access points. See list below. Internet - configure this for APN settings for internet-needed apps. Streaming - settings for streaming videos using your cellular network. 7. Let's start contiguring each settings, tap 'Internet' and you'll see the list of available Access points you can use under this section. This are pre-enabled once you use your providers SIM card. 8. Since I am using Globe Telecom network in Philippines under postpaid plan we'll select 'myGlobe Internet (Nap), for prepaid select myGlobe inet (Nap) as your default Internet access point. For Smart network settings you may refer Smart GPRS MMS 3G APN settings, be sure to use the correct APN for prepaid and postpaid. 9. Lets go to 'Browser', this is almost the with 'Internet' depending on your provider. To browse to the internet using your browser you need to set the correct APN or access point, again I'm on postpaid so I select myGlobe Internet (Nap) for the section. For prepaid select myGlobe inet (Nap). 10. Last is 'Streaming', each carrier provides details for mobile streaming. Just select the providers streaming APN for this section and in this post we'll use 'myGlobe Stream' for Globe network streaming. 11. Click back and double your settings, you can do a trial and error if you’re not sure with your network provider settings. That's it. 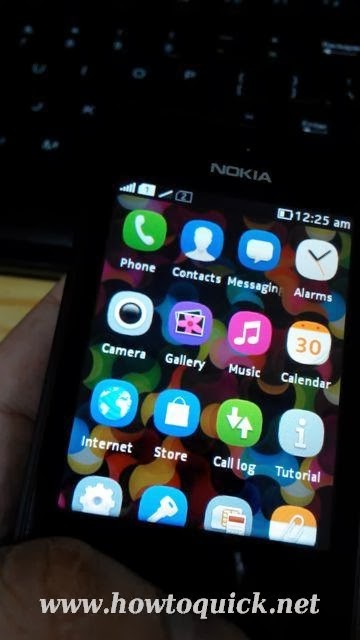 You can also do a manual configuration if you want to tweak the APN details and server settings on your Nokia Asha 501. Just follow the workthrough provided and for sure you’ll figure out how to add manual APN on this phone.